Apple has released the fifth developer beta of OS X El Capitan to users participating in the Mac Developer Beta program. The new build arrives as 15A235d, and the release seems to focus primarily on bug fixes found in the prior beta version. Mac users who are eligible to receive the new beta version can find it to download from the Mac App Store in the Updates section. A reboot is required to complete installation. At the moment, OS X El Capitan Beta 5 is available exclusively to users participating in the Mac Developer program, and there is not an accompanying update for the OS X El Capitan Public Beta users. This often changes a day or two later as a Public Beta update arrives to closely match the developer release, typically with a similar build but a different beta ID. 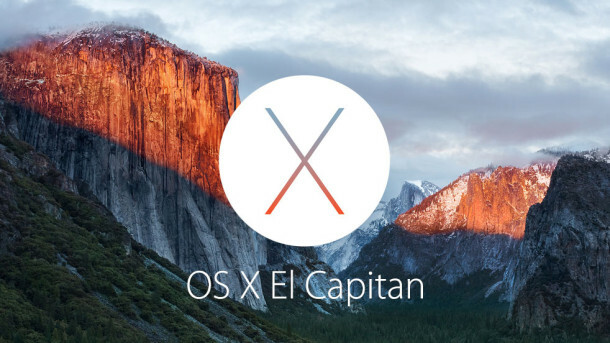 OS X El Capitan, versioned as OS X 10.11, is set for a public release this fall. The new Mac operating system aims to increase speed and stability and will be a free update. I generally find the Public Beta series to be more stable than the Developer Beta series, I wonder why that is. Here you have the link http://apple.co/1DMe41L if doesn’t show up in system update. Will that pkg file upgrade? Never done it that way before.. doesn’t even say beta 5. Please post direct link for up date to Beta 6. Thank you. Still same Finder sidebar bug. Abobe Apps report on beta 5: After effects not working, Illustrator & Photoshop CC 2015 works. Any luck with a fix for After Effects on Beta 5? Fingers crossed! Nope, should wait until beta 6 (next week I hope) or final release. AE CC 2015 doesn’t work on DP 6. Were you able to get After Effects to work on Beta 6 at all? Any help is appreciated!